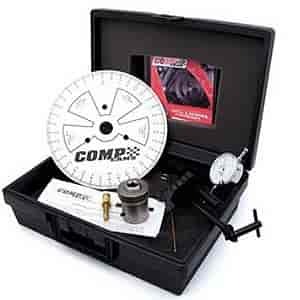 Comp Cams degree kits are a must have for any engine builder. They allow accurate measurements of several key timing functions. Camshaft centerline, valve timing, top dead center, bottom dead center, etc. can be found using one of these kits. This is essential to insure proper camshaft installation and maximum power. Watch the "how to" video below from Comp Cams for more information!